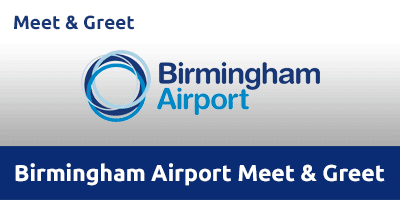 Flying from Birmingham Airport? Why not start your holiday in style with this meet and greet parking service. It’s the perfect parking solution for anyone travelling with young children, weighed down by heavy baggage or in a rush to reach the check-in desks. This drop-and-go service is ideal for all types of traveller and is a great way to VIP your holiday. No transfers are required as this service is a short walk from the terminal building. This car park has been accredited with the Park Mark Safer Parkng Award, it also features CCTV cameras and regular security patrols. Meet and greet is an ideal service for anyone requiring extra assistance. This car park does not accept vans, minibuses, motorhomes, caravans and trailers. On arrival to the airport, follow signs for Valet Parking. Drive to the Valet Car Park. At the entrance barrier, press for a ticket to gain entry to the car park. Head to the Valet Parking Reception where you’ll be met by a member of staff who will check your vehicle in. Call Valet Parking once you have retrieved your luggage and cleared customs. Walk to the Valet Parking Reception. Collect your keys from the awaiting chauffeur and continue your trip.